This 10 pack of softies assorted coloured cushions help to create an inviting and engaging learning space. Available in five vibrant colours Red, Green, Orange, Blue and Yellow to encourage visual stimulation. 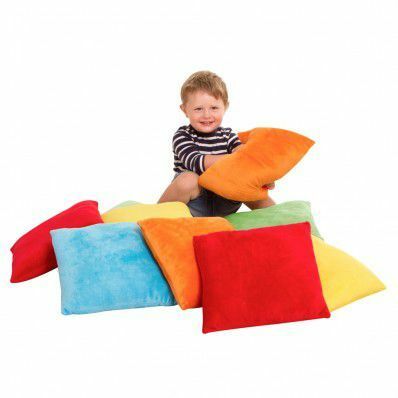 Children will have fun and learn through play these cushions which are perfect for stroking, squishing and squeezing.